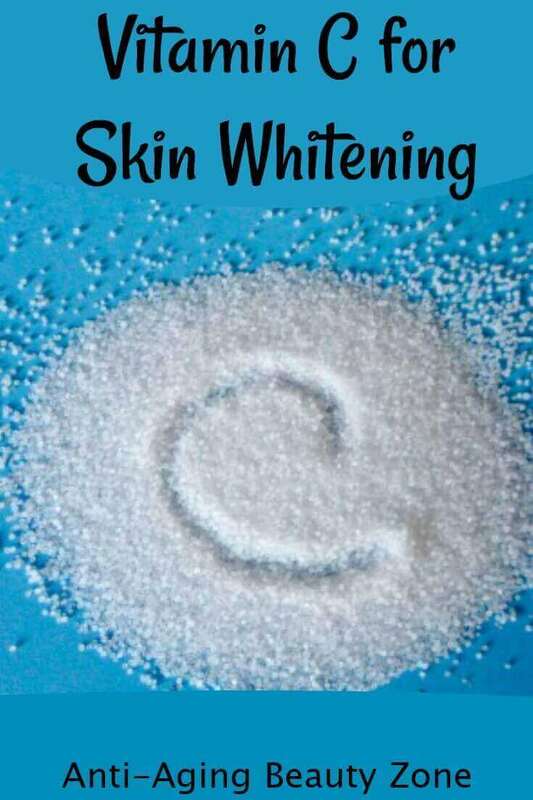 Vitamin C Skin Whitening - This Lightened My Dark Spots! 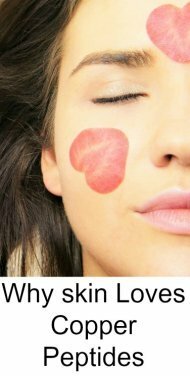 If you’re interested in trying vitamin C tablets, powders or creams to lighten and brighten dark spots and blotches, there are a few things you need to know for best results. While taking vitamin C supplements or eating vitamin C rich foods is always a good idea - this article discusses the use of topical vitamin C serums or creams to improve skin tone and lighten or whiten dark spots and discoloration. Applying pure vitamin C topically to the skin can help suppress skin pigmentation which makes it a great skin lightening agent. 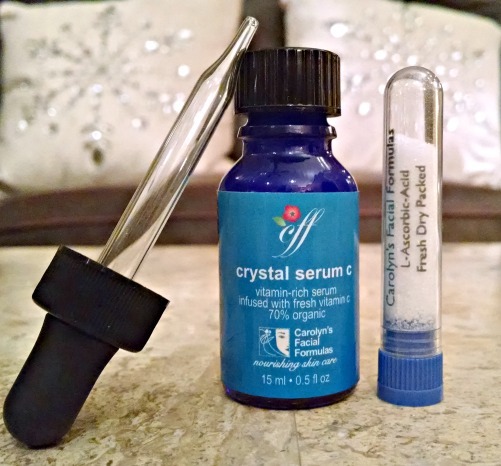 But whether you plan on purchasing vitamin C serums and creams or making your own by crushing vitamin C tablets...……. here are few facts to consider. What type of vitamin C is best? L-Ascorbic Acid will penetrate the skin the best. Non-acidic or neutralized forms of vitamin C can't penetrate well and therefore won't lighten the skin. Potency is important. In order for a Vitamin C skin care product to effectively lighten and penetrate the skin it needs to be potent. It should have a concertation of around 15-20%. Freshness counts. While ascorbic acid is considered one of the best forms of Vitamin C for skin care – ascorbic acid is very unstable which means it loses its potency quickly and therefore has a short shelf life. 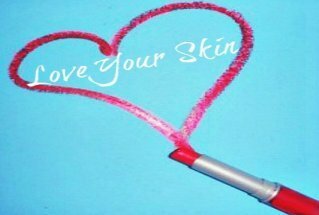 Over time, it oxidizes which is not good for the skin. So it's best to buy or make in small batches and use it within about 30 days. Know the pH balance of the product. This can have an effect on how much vitamin C actually penetrates the skin. The pH balance should range between 3.5 – 5.5. If the pH is too low it can irritate the skin. So if you have sensitive skin keep that in mind when buying or making vitamin C skin care products. Exfoliate, exfoliate, exfoliate! If you really want good results quickly - you need exfoliate weekly. Exfoliation helps sloth off those darkened and discolored dead skin cells. 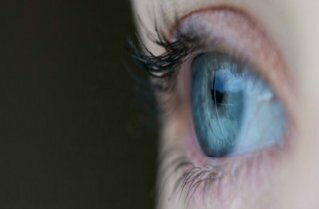 This will help bring about smoother, clearer results faster. Here are my before and after result using a 16% pH balanced vitamin C serum. It took a few months to get this result. NOTE: Not only did the Vitamin C serum help lighten brown spots, but the neck exercises helped reduce the deep neck lines. Awesome!! I have fair skin and tend to freckle easily. But, those dark spots are getting lighter and lighter - and that makes me happy!! 1. Most vitamin C tablets or powders for oral consumption are either buffered and neutralized with sodium bicarbonate for your stomach protection. This renders the vitamin C useless for skin penetration. 2. 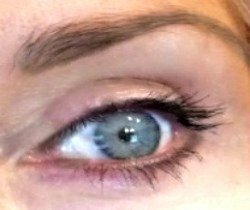 Fillers! Most oral vitamin C tablets and powders contain filler like stabilizers so they can sit on the shelves for years. Who knows what that will do for your skin or if it makes the ascorbic acid less potent. 3. Potency. How would you gage the potency and pH when you crush vitamin C tablets? 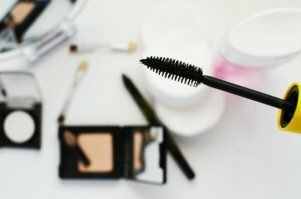 Even if you purchase vitamin C powder designed for cosmetic use - unless you know what you're doing - it can be difficult. Here is a link to a popular vitamin C powder for cosmetic uses on Amazon. If you read the reviews, some people complained of skin burns because they didn't use/mix it properly. All of the benefits of topical Vitamin C sounds wonderful – right? However, the problem is finding a Vitamin C cream or serum that is fresh and potent and has NOT been sitting on a store shelf for months or years. While ascorbic acid is the best type of topical Vitamin C, but it’s not very stable once it’s mixed with liquids. That’s why mixing up a fresh batch monthly is your best bet for really good results. I tried making my own Vitamin C skin products but was never sure of the potency or pH balance. Plus, my concoction seemed to dry my skin and cause it to peel. 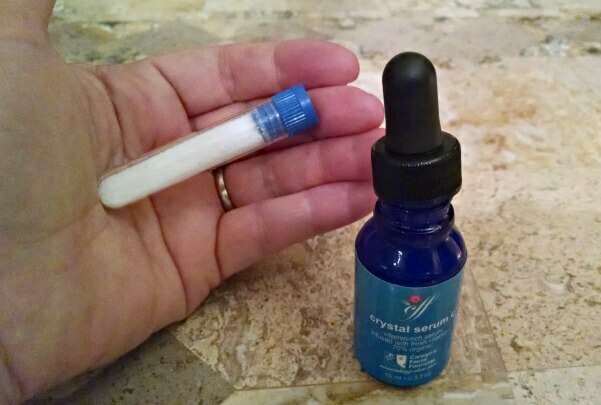 Now I just use CFF Pure Vitamin C Crystal Serum. This vitamin C comes in a separate vial that is mixed up fresh at home before using it. It also comes with a richly hydrating serum base loaded with antioxidants to help support younger skin and collagen production. With this product I'm guaranteed that the pH is properly balanced (between 4.5/5.5) and offers a potent 16% concentration. This concoction is pretty potent and very rich, so a little goes a long way covering my face and neck area. So one vial will last about 35/40 days. NOTE: If you make you own, don’t make too much at one time. 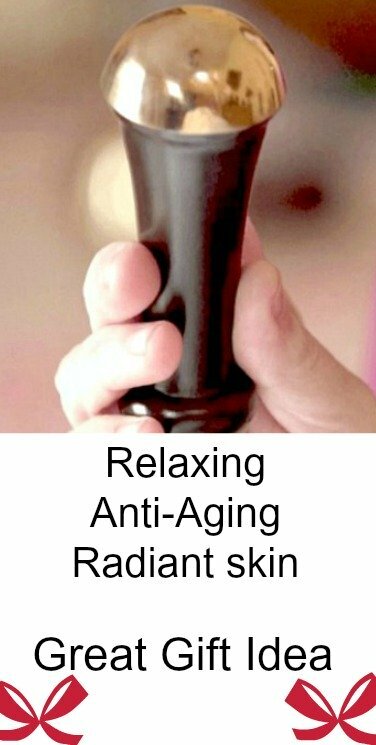 After about 35/40 days your Vitamin C serum will start to turn brown. 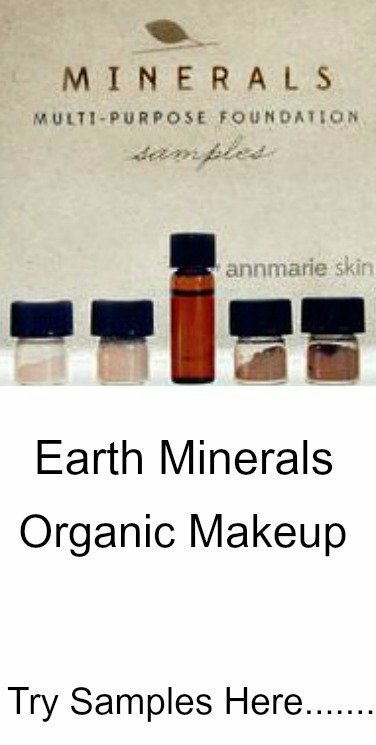 That means it has oxidized and SHOULD NOT BE APPLIED TO THE SKIN. Throw it out!! And be sure to store it in a dark colored container to prevent oxidation. In addition to skin whitening and lightening benefits, applying a potent, fresh concoction of vitamin C cream or serum to your skin every day can also help improve its appearance and provide younger looking skin – overtime. Topical vitamin C products can help reverse, slow down, and even prevent future age-related skin changes such as wrinkling and sagging by promoting collagen production - leading to firmer more elastic skin. Vitamin C can also help guard against sun damage (you still need to wear your sunscreen however), while helping to reduce inflammation and hyperpigmentation. I recently came across a company that manufactures potent vitamin C supplements which they claim can help brighten your complexion. Some of the women who have tried this supplement say they noticed a difference in their complexion and skin tone. Here is a link to that supplement on Amazon so you can review it for yourself. Even if they don't significantly lighten or brighten your skin tone, they can't hurt either. We all could use a little extra vitamin C in our diet these days. If you use vitamin C for skin whitening (whether topical serums or oral supplements) please share your experience with other readers. 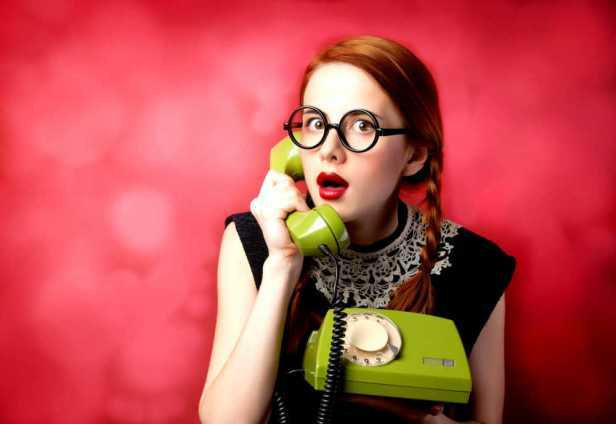 Because real life experience and Word of mouth experience is powerful! 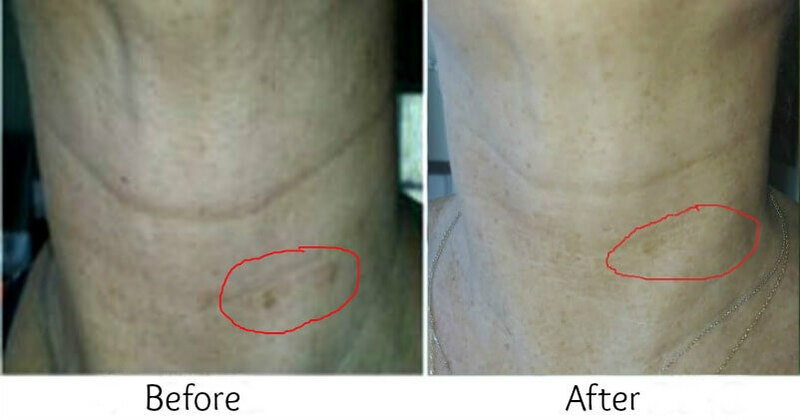 Neck Firming Exercises - See my before and after pictures.